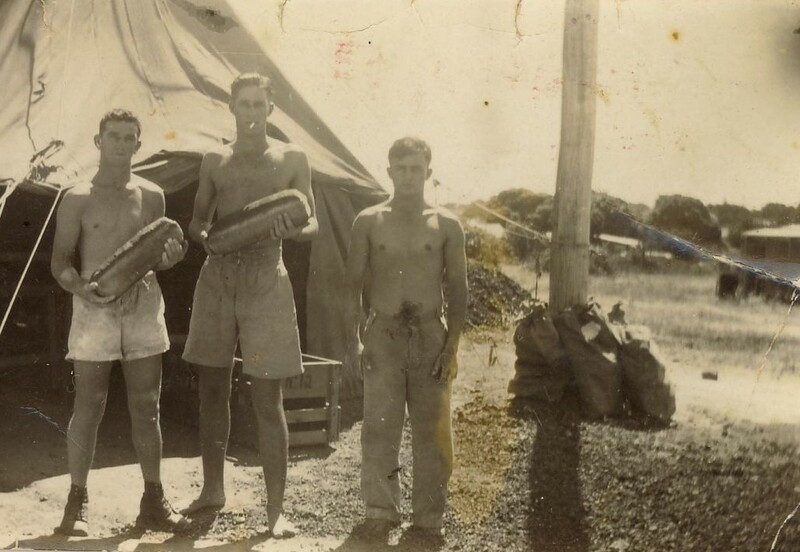 This entry was posted in Australian history, Sepia Saturday, World War II and tagged army bakers, Papua New Guinea, Sepia Saturday, world war II by cassmob. Bookmark the permalink. I find it a little comforting to know that “our boys” in the midst of the horrors of war can enjoy larking around a bit. It would be funny if Slim Hope’s brother was nicknamed ‘Fat Chance’. A classic comment Kylie -that never even occurred to me! Great to have these lovely natural shots of the men playing around, or skylarking as we both say. Thanks Jo…funny we both used the same word, though I don’t use it all that often in the normal course of events. Referring to the 4th photo in line, I had no idea making the devil’s horns sign behind the head of an unsuspecting photo subject’s head went that far back! Everyone in my family has been doing it to each other for years. How funny & how comforting to know we’re in good company! 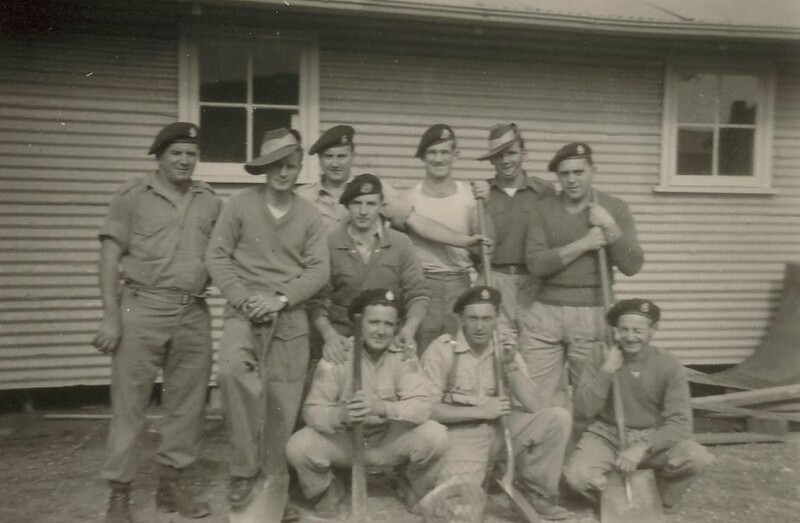 We don’t see many of these casual photos of how the men enjoyed themselves with some tomfoolery amidst the horrors of their mission. Logically they had to be not far from the front line at times, since the troops had to be fed, but perhaps there was no tomfoolery when they were that close. Your observation on the wisdom of trusting these men with a nation’s security is the same thought I have whenever I see photos of fresh-faced young men in the service. Babies are protecting our freedom! As with police etc, as we age those “in charge” seem younger and younger Wendy. That happens Bob 😉 Yes, the hats are distinctive indeed. 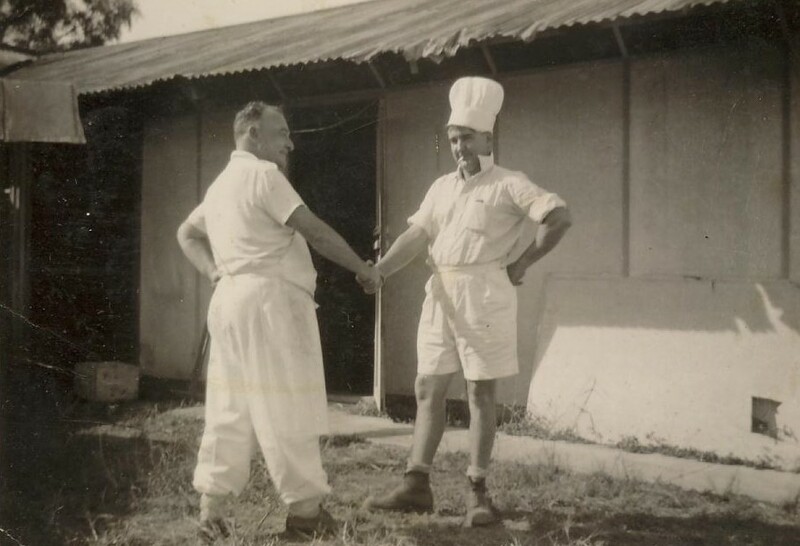 I suppose the shorts on the cook are practical for hot climates and hot kitchens, but that is not the usual image of a chef and I found it amusing. Isn’t it funny what we take for granted…the shorts never even raised my eyebrows…used to the tropics I guess. Certainly no check trousers to be seen….what would MasterChef say? A perfect match for this weekend’s theme. 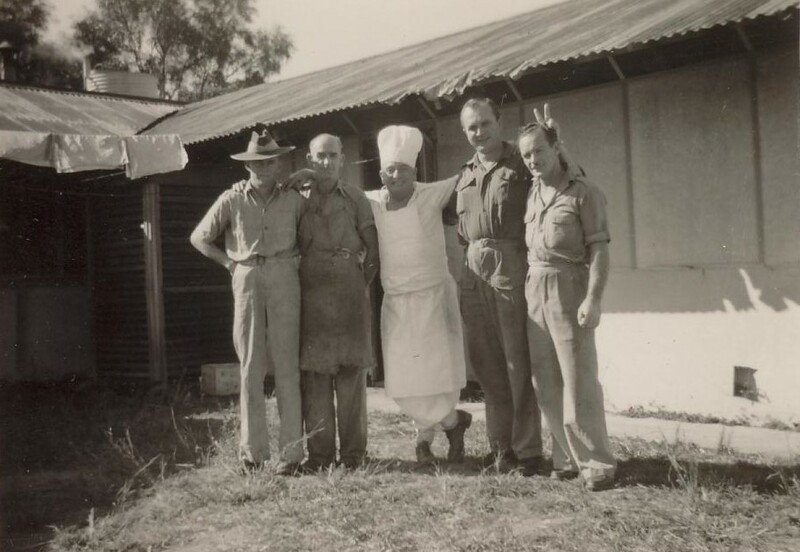 I daresay that a cook had the most important duty in any army. 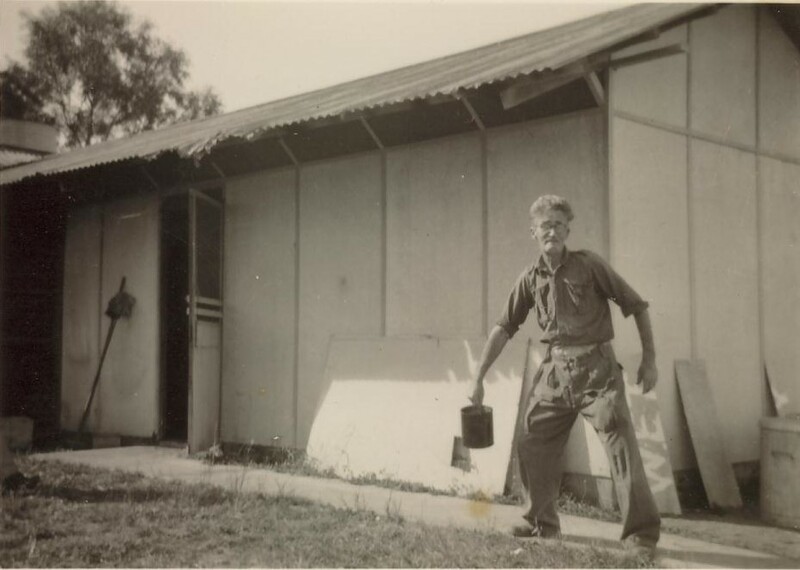 Yesterday I came across snapshots from my grandfather’s 1927 service in the US Marines, and they have the same lighthearted flavor as your photos. Which is, of course a universal element of every soldier’s life. They do say an army marches on its stomach so I guess the cooks were important, though personally I think I’d rather have been a cook than a front line soldier. I guess all soldiers need to kick up their heels when they can, to counter-balance the horrors they see. Thanks for visiting Mike.